From 1-2 November, ELN Policy Fellow Julia Berghofer spoke at the CODE BLUE 2018 information security conference in Tokyo where she presented on Nuclear Weapons and Cyber Risks: Policy Recommendations for Enhancing C3 and Supply Chain Security and Resilience. Julia made the case for improved information exchange and sharing of best practice between governments, military staff, academic experts and the private sector to protect the nuclear weapons supply chain and Command, Control and Communications (C3) systems. She emphasized the urgent need for better education and training in cyber security for military personnel at all levels. Her recommendations also included establishing EU-led programmes on the cyber-nuclear nexus; and efforts to increase transparency on cyber vulnerabilities and tackle possible breaches within all stages of the nuclear weapons systems, including the supply chain. This is crucial, not least with respect to NATO’s nuclear sharing arrangements and US modernization plans of nuclear weapons deployed in European countries. 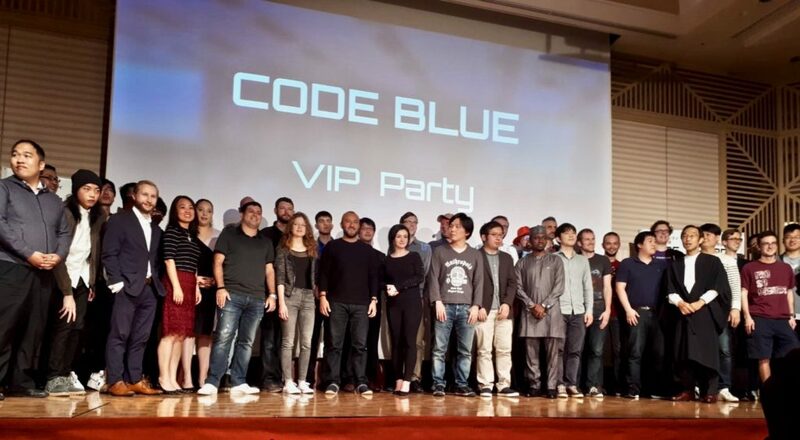 CODE BLUE is an international conference where the world class information security specialists gather to present cutting-edge talks, exchange information and interact beyond borders and languages. For more information about the annual conference see here. Can a deal with Iran stick in Washington?